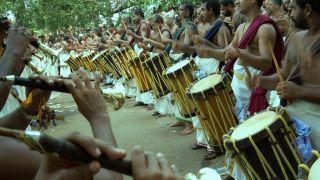 The Thekkinkadu Maidanam (maidanam means open place) in the heart of Thrissur town transforms into a stage for splendour, beauty and passion every year during the world renowned Thrissur Pooram. 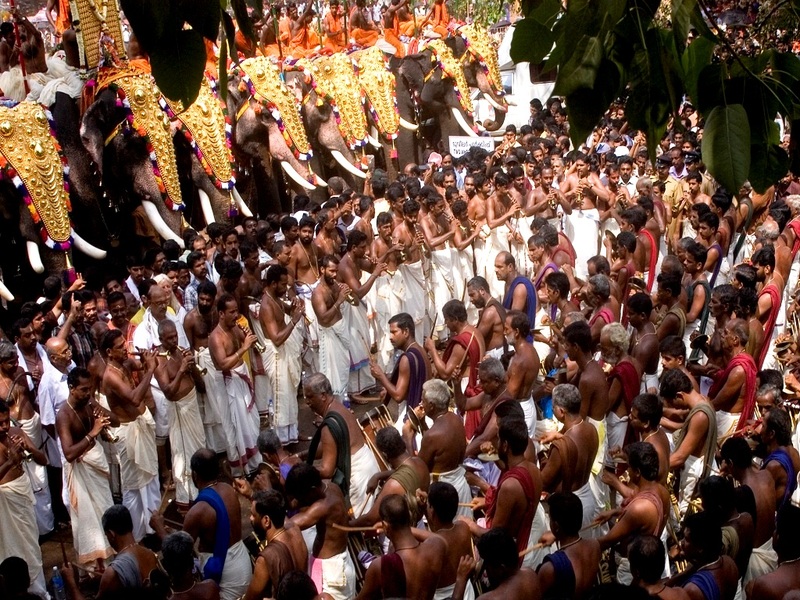 The event is a heady mixture of pomp and pageantry as the ‘Pooram of Poorams’ unfolds before your eyes. 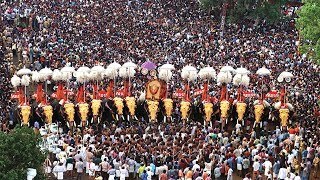 The Thrissur Pooram, celebrated in the Malayalam month of Medam (April-May) is a grand assembly of Gods and Goddesses in and around Thrissur. 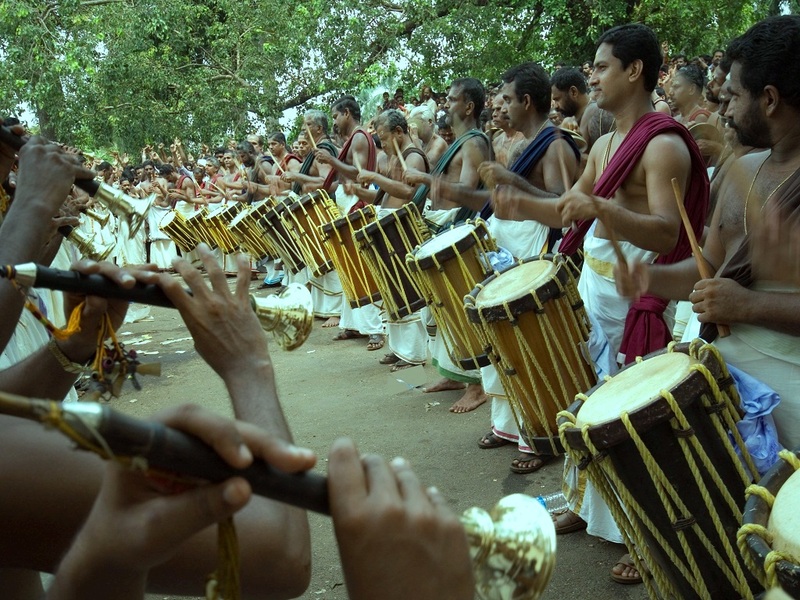 These Gods and Goddesses make their visit to the Vadakumnathan Temple premises on caparisoned elephants accompanied by grand ensembles of Chenda melam and pancha vadyam. 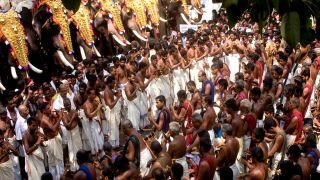 The pageant of about 30 caparisoned elephants and kudamattom, a competition involving swift rhythmic changing of brightly coloured and sequined parasols and the Ilanjitharamelam, an amazing percussion ensemble featuring about 250 odd artistes are the highlights of this festival. 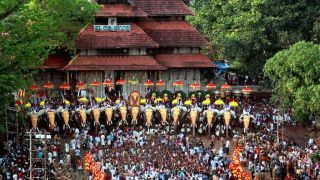 Kudamattam, mesmerizing spectacle of exchanging the decorated parasols is another major attraction associated with pooram festival. The classic entertainment come to a conclusion with the astounding display of fireworks that light up the heavens on the concluding day of the grand event. 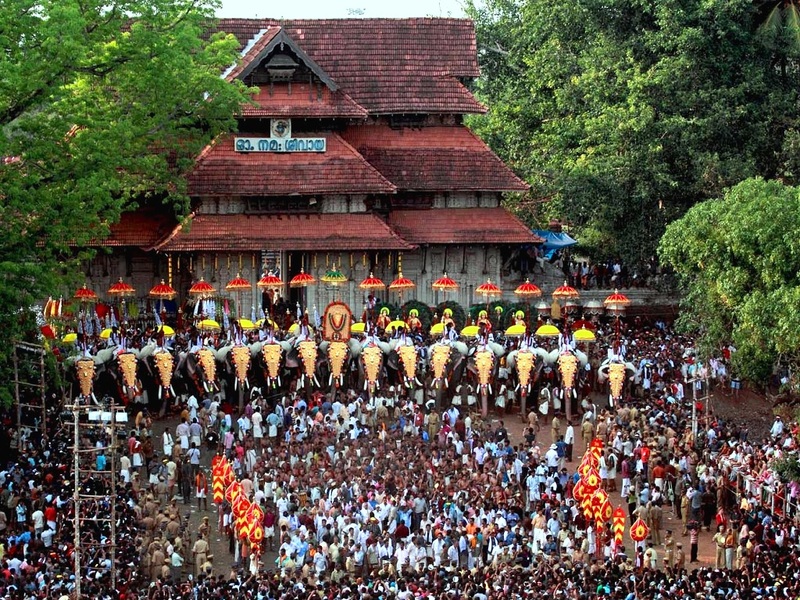 The ten participating temples of Thrissur Pooram are Paramekkavu Bhagavathy Temple, Thiruvambadi Bhagavathy Temple, Kanimangalam Sastha Temple, Chebukkavu Bhagavathy Temple, Panamukkumpally Sastha Temple, Karamukku Bhagavathy Temple, Laloor Bhagavathy Temple, Choorakkottukavu Bhagavathy Temple, Ayyanthole Bhagavathy Temple and Naithalakkavu Bhagavathy Temple.